Earlier this year we launched on iOS and more recently opened up Android to everyone. We have many important features and updates in development that we’re excited to share with you. Get the scoop on our ongoing dev efforts! We want you to have more control over your HUD, and an important step in that direction is to allow players to decide which elements are active or disabled at any given moment. We've added editable visibility settings for most HUD elements as well as grid snapping. Every HUD element has three states for the three modes of gameplay (building, editing and combat). We’re doing a big quality of life pass on many of the HUD elements. Small things that can dramatically impact the usefulness of the UI, like building slots being drag and droppable which could block other inputs or the wood resource button disabling autorun. We brought back building from the quickbar buttons, which we previously disabled due to it blocking some of our experienced builders. We dropped some of these features in the v6.10 update, so give us your thoughts. Controller support. We haven’t touched on this in some time, but we’re beginning testing on various controller setups as we work to enable support. We’ll give you a status update on these when we get it to a better state. In the near future, we’ll be unlocking 60 FPS functionality on a limited set of high end devices. We’re doing some validation on devices to make sure they can maintain a high level of performance over multiple games without overheating. You’ll be able to drop into matches with more clarity than before and save those crisp plays to share with your friends! We’re continuing efforts in this area to improve perf across the board for compatible devices. It’s an area that benefits from all of the feedback you provide detailing your experiences on your device. In the near future, we’re working on major performance improvements to Android 7 and some other older operating systems. We’ve since resolved this, providing a big win for performance. Additionally, we’ve been working on large scale optimization efforts to reduce the amount of memory Fortnite takes up. This should provide a more consistent frame rate during longer play sessions. For iOS players, we’re changing how our “shader cache” system operates to reduce size and impact on memory. Longer term, we’re working with Phone manufacturers on Android optimizations and providing an overall smoother experience. As always, many of these updates are tied to operating systems (OS) so make sure you update drivers regularly! 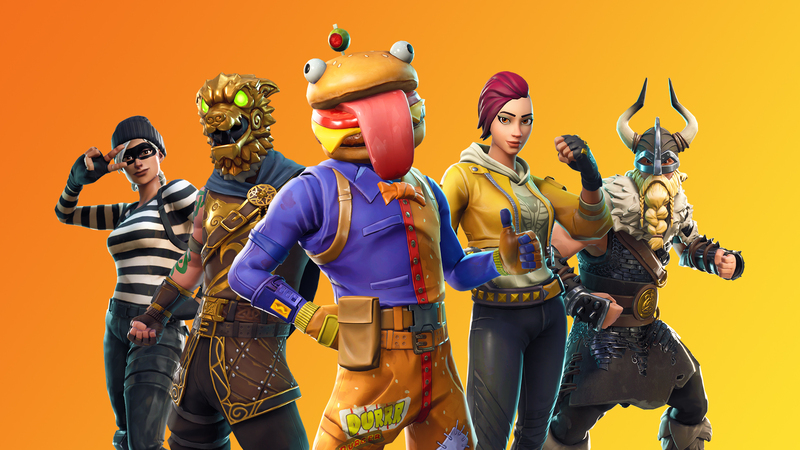 Fortnite is a living game with new content, LTMs, and cosmetics released every week, so downloads are necessary every time we update. We’re always working to reduce the update size and have made recent improvements that will result in smaller patches.